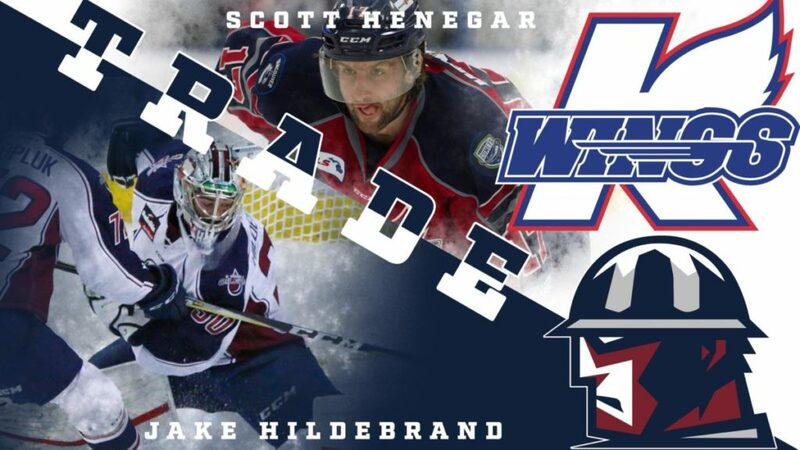 TULSA, OK – The Tulsa Oilers, proud ECHL affiliate of the National Hockey League’s St. Louis Blues, and Head Coach Rob Murray announced Tuesday the acquisition of forward Scott Henegar from the Kalamazoo Wings in exchange for goaltender Jake Hildebrand. Henegar, 28, arrives in Tulsa after two full seasons in Kalamazoo, where he accumulated 46 points (25g, 21a) in 134 games for the Wings. In 63 games last season, the Trenton, MI native recorded 23 points (11g, 12a) and 51 penalty minutes. Prior to his time in western Michigan, Henegar spent his first pro season with the Huntsville Havoc of the Southern Professional Hockey League, posting 35 points (24g, 11a) in 56 games in 2015-16. The 5’10, 175 lbs. forward played four seasons of college hockey at the University of Wisconsin-Stevens Point, where he was a teammate of former Oilers forward Garrett Ladd. Hildebrand, 25, went 16-18-6 last season in Tulsa, finishing with a 3.35 goals-against average and a .901 save percentage in 44 appearances. The Michigan State University alum previously spent time in Indy and Allen in the ECHL and played three games with the American Hockey League’s Rockford IceHogs in 2016-17.